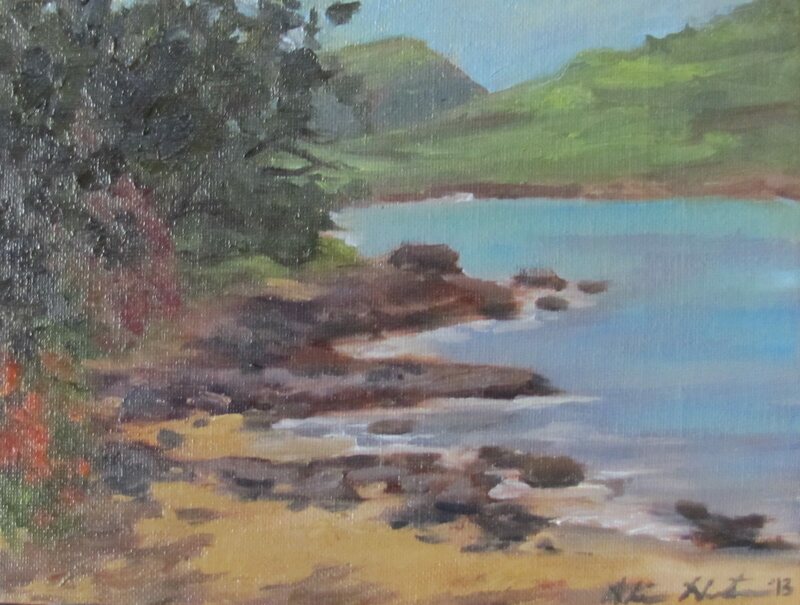 This was painted during one of our fabulous beach days. I even tried stand-up paddle boarding on this day, unsuccessfully. I guess you don’t position your feet like you are riding a surf board; they are suppose to go side-by-side. I didn’t know this. I just thought I had really bad balance.